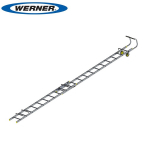 When working on a roof, whether you’re fixing a leak or crack, removing moss or installing a whole new roof, it’s important to ensure that you have a roof ladder – they are designed specifically for use when working on rooftops, so have been adapted to ensure safety is paramount at all times. 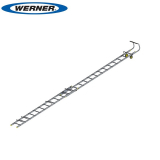 Without a roof ladder, serious injuries can occur. 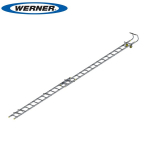 The most common type of roof ladder is a square rung adjustable sliding ladder, similar to many standalone ladders, but the big difference is that they have a ridge hook at the top to hook onto the roof edge and ensure stability. 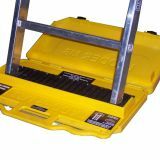 Additionally, they have support bearers to provide extra stability and safety, especially useful when accessing high roofs. 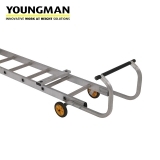 These roof ladders are lightweight but sturdy, and come with wheels to make transport slightly easier. 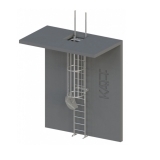 Access ladders can also be used when installing or repairing roofing. 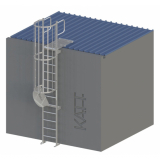 These provide safety in the form of cages and allow you to access elevated areas over 2 metres high, between varying levels and mezzanines, and the cage provides the fall protection required when working on heights of 2 metres or higher. 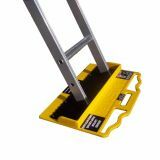 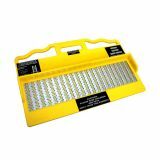 Here at Roofing Superstore we also stock a range of anti slip safety devices for outdoor or indoor use, ensuring safety is paramount. 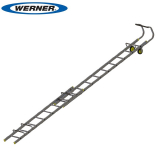 They hold the ladder in place with thin metal grips and stainless steel plates, and can be used on any surfaces to prevent slippage, including ice.